I’d tried most things and at 47 years old, I’d pretty much resigned myself to being unhappy with my weight. 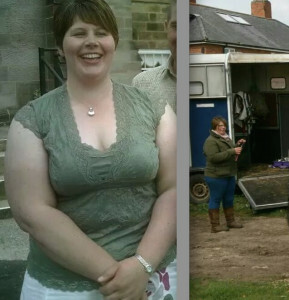 I was 1 1/2 stone over weight – not much really, I know but I felt awful about how I felt and how I looked. 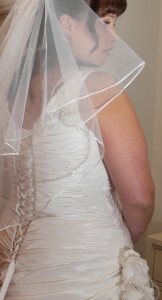 I asked for Debbie’s help because of the amazing results one of my friends got after working with her. Debbie worked with me to identify the reasons for my weight gain and helped me to address them. I LOVED the sessions – hypnosis and the relaxation that Debbie leads you into is just the most amazing feeling. 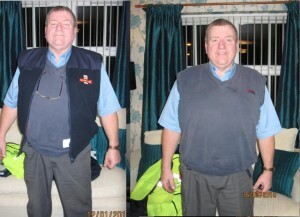 At the end of my VIP Programme I hadn’t lost the stone and a half I wanted to – I actually lost almost 2 stone. So, I beat my target which I’m over the moon with and I actually enjoy shopping for clothes now! Because I love the hypnosis sessions so much and I want to stay on track with my weight I have extended the number of sessions I have! The sun is shining,clothes need to be replaced (yay! ), my energy levels are increasing and I’m a VERY happy Kiwi! Debbie’s Get Real! and Get Slim for Life Programme is awesome and I’m so lucky to have been a part of it. The Programme has really helped alter my mindset in lots of ways and I’m so much more positive and so less stressed. Debbie’s infectious enthusiasm and amazing knowledge and skills has helped me sooooo much! I can never thank my global sensation of a therapist enough. She is a treasure on so many levels and truly is the UK’s leading weightloss expert. Over the years I had tried different diets. I would join, stick to it for a while, lose some weight, then I’d stop going for a while. The weight went back on so I’d re-join and the cycle started again. I wasn’t happy with my size or how I felt about myself. 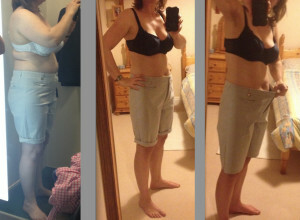 I needed a more permanent solution and I needed help to stop comfort eating. I was sick of paying for what I thought were quick fixes. I contacted Debbie and decided to make me and my weightloss a priority and invest in myself and my health. The investment to work with Debbie worried me initially but I’d tried everything else, none of it worked and Debbie had been recommended to me. I have lost 5 stone in 12 months. Since working with Debbie I haven’t put any weight on, not even over Christmas. I’m amazed how easy it was – the most difficult thing initially was remembering that I was’t on a diet. I eat whatever I want because I’m not deprived of anything, but now I eat within the Get Real! Principles. Since working with Debbie, I feel hungry only when my fuel tank needs topping up rather than from being starving like I was when I did diets. Food just doesn’t have the same pull on me anymore. My shopping bill has done down, the food in the fridge lasts longer and I’m happier than I’ve been for a very long time. I’m not as irritable either! I used to feel tired a lot but now I’ve much more energy. My confidence has gone through the roof. I think the biggest thing for me from working with Debbie is that I don’t hide anymore. What can I say? I was, and still am desperate to sort out my weight. I was 4 stone overweight when I started working with Debbie. I decided on the Get Real! Lite Programme, even though it was only for a month because if I’m honest I was REALLY skeptical! But…that was then! I have just finished my 4th session and I’ve lost 1 stone 1lb. 1 stone 1 lb in 4 weeks – I can barely believe it apart from the fact that I need to keep tightening my belt because my trousers are falling off me. What amazed me is that Debbie doesn’t believe in diets (in her words – she’s suspicious of anything that has the word ‘die’ in it!!). So, there was no dieting at all – just common sense and therapy to help me address the issues I had around portions and comfort eating. It took me a week or so to get my head around the Principles of the Get Real! Programme but it’s second nature now. I feel I still need Debbie’s support so I have just signed up for the VIP Programme and I can’t wait to get rid of this last 3 stone. I’m feeling so healthy and confident. If I hadn’t started working with Debbie, I’d still be carrying the extra weight around, feeling unhappy and punishing myself with more food. I’ve lost 10lbs in 3 weeks without dieting or abstaining from any particular ‘naughty’ foods…it’s flipping great! I only had a stone to lose when I started this Programme and I’m hoping to achieve my goal this coming week. If I don’t, I WILL achieve it the week after! Debbie is an AMAZING therapist. 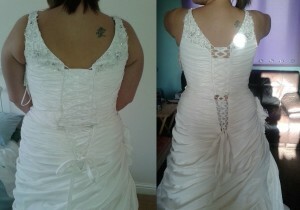 I started working with Debbie because I wanted to lose 3 stone in time for my wedding in December and I did it!! I couldn’t have done it without her continued help and support. She kept me on track and didn’t let me get away with ANY excuses – she’s an amazing mentor. 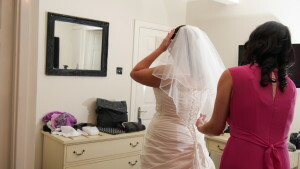 Confession time – I felt so awful about myself and my weight that I was about to cancel my wedding. I’m so pleased I rang Debbie instead. I contacted Debbie when I reached rock bottom. My weight was at an all time high – 30 stone which I feel sick just thinking about it. I had no idea I weighed that much because I stopped getting weighed when I reached 26 stone. Working with Debbie is so refreshing – she won’t buy into any of the excuses I kept coming up with and she encouraged me to step up and take responsibility for my weight. Even though it was scary, I got weighed. I was horrified but at least I had a starting point. Debbie has this way of drawing out the stuff that has held me back throughout my life and which has been the main cause of my weight problems and she has helped me deal with it once and for all. I’ve been on diets all my life and got bored and gave up within the first couple of days. I was totally suspicious that Get Real! Would work because it’s not a diet but Debbie came highly recommended so I decided to give it a go. Today I’ve lost 5 stone 12 lbs in less than 6 months and I’m over the moon. I still have just over 9 stone to go and I’ve just signed up for another 6 months! 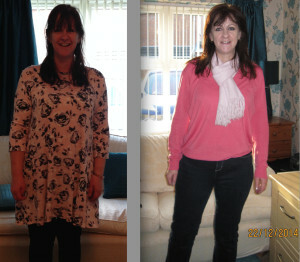 I can’t thank Debbie enough for helping me to lose 3 stone. I couldn’t have done it without her. I have tried so many times in the past and always failed. Debbie is brilliant and very patient and it has been a great experience working with her. Contact me if you are ready to get results like this!